TORONTO — Mason Raymond made his home debut with the Toronto Maple Leafs a big one, scoring the winning goal in the shootout of a 5-4 victory against the Ottawa Senators. Raymond converted a spin-o-rama, a move he’s used throughout his career and one the NHL considered banning. He defended his ability to use it to score. Senators coach Paul MacLean argued briefly with officials over the goal, scored against Craig Anderson. Senators captain Jason Spezza wasn’t quite as direct. When Maple Leafs coach Randy Carlyle was asked about the attempt to eliminate using the spin-o-rama, he was coy. It proved to be a busy night for Raymond as well as Ottawa’s Kyle Turris. The first period saw the Maple Leafs and Senators trade goals to get the game off to a 2-2 start. Raymond scored a goal and had an assist on Nazem Kadri’s first of the season. Ottawa countered with Turris scoring his first of the season and assisting Cory Conacher on his first. Raymond and Turris finished the game with three points each. For Raymond, his arrival in Toronto has been a successful one for him and the team to this point. The second period saw action turn Ottawa’s way when Jared Cowen and Spezza scored 15 seconds apart midway through to make it 4-2. Turris’ play with Conacher and Clarke MacArthur was one bright spot for the Senators. Cowen’s goal came on a shot from the blue line while the Maple Leafs scrambled in their end. Spezza’s goal went to the far side on James Reimer from in close and forced a goalie change. From that point on, backup Jonathan Bernier would keep the Maple Leafs in it. Reimer, in evaluating his performance, chalked up some of the goals allowed to bad luck and bad bounces. Carlyle was asked after the game if the goalie performances changed how he’ll evaluate them going forward. “It makes it easier. It makes it easier,” Carlyle said. Late in the second, Joffrey Lupul drew a penalty and scored on the power play to make it 4-3 heading to the third. The Maple Leafs tied the game at 4-4 on James van Riemsdyk’s second goal of the year, 2:52 into the period. Ottawa took a penalty late in overtime, a hook by Cowen, but the Maple Leafs did not convert. Raymond and Tyler Bozak scored in the shootout, and Bernier held the Senators off the board. Bernier stopped all 15 shots he faced through regulation and overtime. 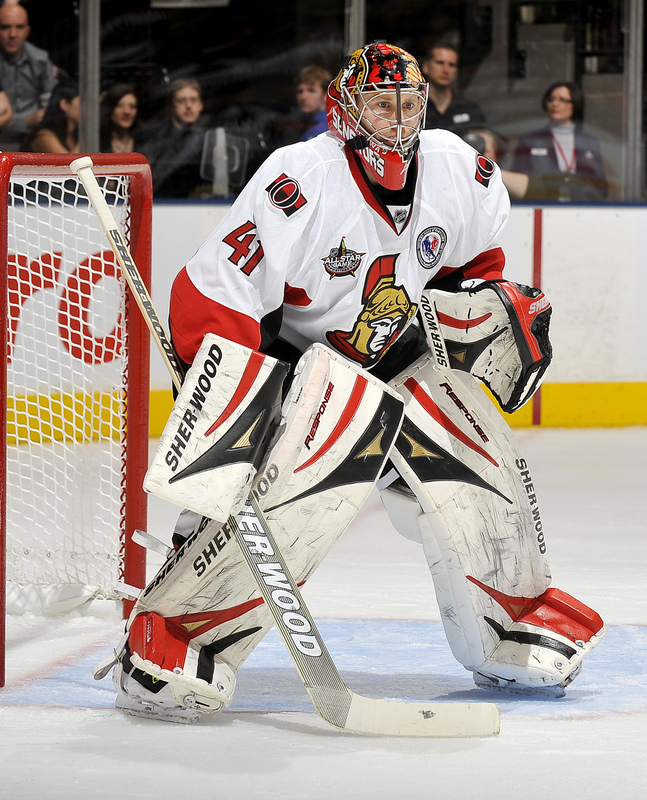 Ottawa’s Craig Anderson made 38 saves. Toronto’s next game comes at home Tuesday against the Colorado Avalanche. Ottawa continues its six-game season-opening road trip Wednesday against the Los Angeles Kings.